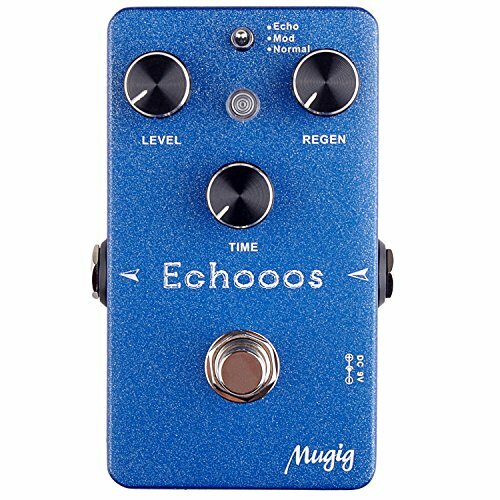 3 Delay modes: Echo, Mod, Normal.Delay time: 0-838 ms . True bypass provides transparent tone; ON/OFF LED indicates effects or bypass status. LEVEL Knob to adjust the level of delay effects. REGEN Knob to adjust the feedback of delay effects. TIME Knob to adjust the delay time.